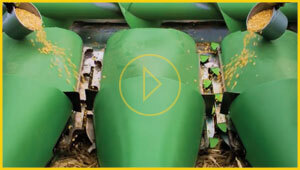 Looking for ways to reduce shatter loss during harvest? 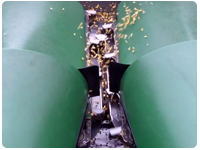 Watch this spot from American Farmer TV to learn how the Harvest Sweep can reduce your shatter loss by up to 85 percent. Go Pro with Operation Harvest Sweep! We saved a lot of shelled corn with Operation Harvest Sweep. It worked it in all sorts of conditions, from bone-dry corn as low as 13 percent moisture, to foggy mornings with really tough stalks. Our neighbors like to have their cows graze our stalks after harvest, and this year they said there was nothing left for their cows to eat. It's time to take action. Don't lose any more profits to shatter loss. Fight Back with Operation Harvest Sweep! 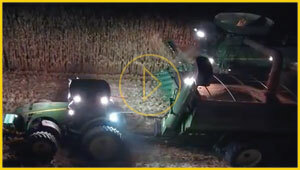 During corn harvest, you might lose 1-3 bushels per acre to shatter loss at any given time. 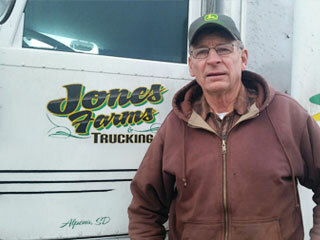 When the corn starts drying down mid-season, you could lose 3-5 bushels. And if the corn is stressed, that number might become 7-8 bushels. 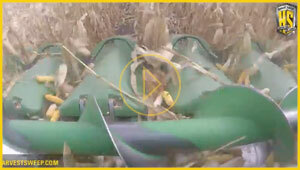 Producers have struggled with this problem ever since the corn header was invented in 1954. It’s time to fight back against this problem that has killed profits for over 60 years. According to our extensive field tests, the patented (U.S. Patent No. 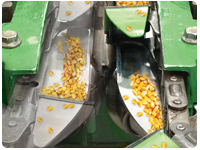 9,961,830) Operation Harvest Sweep™ system can help reduce shatter loss by 80-85%. Less shatter loss means more money in your pocket. It also means less volunteer corn costing you money in corn/soybean rotations. Simply put, it’s a perfect win-win situation.